Home » National » Featured Scope » Is Hon. Saulos Chilima Trafficking In Deception Or Just Difficult-To-Realize Hopes? 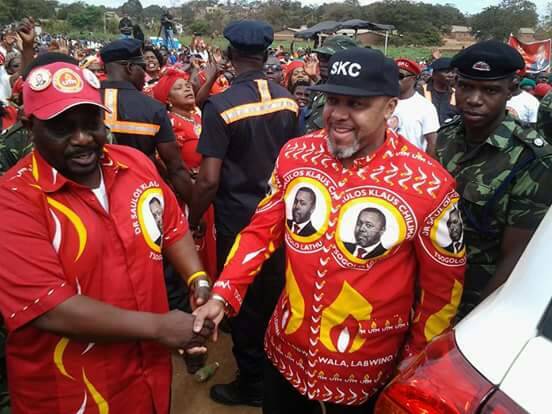 Saulos Chilima just another Politician? Contribution by: Chisala, Maxwell L.
Listening to Hon. Chilima detail the myriad of problems and travails confronting our country and his ‘economic recovery plan’ aimed at ‘balancing the economic variables’ to ‘resuscitate the Malawi economy from its deathbed’ through his ‘12 Point Plan’, one would not know Hon. Chilima has a private-sector background and sufficient experience with private-sector centered solutions to realize the private sector has a crucial role to play in solving some of our more intractable problems. I may have wrongly believed Hon. Chilima’s appeal to ‘his’ DPP and the country was his private-sector background and therefore his apparent lack of enthusiasm for and confidence in private sector based solutions very perplexing to say the least. Hon. Chilima’s understanding of how the Malawi economy functions, how to grow it and how to use it to create private-sector jobs seems suspect or at best very rudimentary. Or is Hon. Chilima just another politician saying what people want to hear or, as they say, simply speaking the language of the people? If Hon. Chilima is being honest about dealing firmly with the pandemic corruption (if voted into office in the coming elections) by adopting a ‘zero tolerance to corruption’ policy, is it not odd corruption ‘czars’ are comfortable flocking to UTM? Hon. Chilima appears too comfortable in the swamp to hope to ‘drain it’ or our presumed Mr. Clean is more likely to morph into a Mr. Dirt at the pace he is attracting dirt to be relied upon to purge corruption or do something serious about corruption without risking cannibalizing himself or his UTM leadership or indeed his big financiers. If Hon. Chilima is dead serious about taking the bull by the horn where others have just been paying lip service to dealing firmly with the plague of corruption, Hon. Chilima would be the first to establish that there would be huge dividends from his laudable and praiseworthy effort and Hon. Chilima would be best placed to know how to use those dividends more productively and more crucially how to share those dividends with the economy or how to use the dividends to get the private sector to behave responsibly— by, maybe, lowering some taxes and encouraging companies to employ, plough back in the companies etc Unless, of course , Hon. Chilima does not mean a word of what he is saying on the political podium! Whether Hon. Chilima and his UTM like it or not the ordinary citizenry has every right to demand ‘straight’ answers about the socio-economic template Hon. Chilima has for digging the country out of the hole it is in—a vicious cycle of social and economic violence and the deepening malaise in our society, not to mention our complete capture by a state of thievery and plunder. It is disingenuous to tell the country Hon. Chilima can not share details of his socio-economic blue-print with the citizenry for fear of other aspirants ‘stealing’ it. People in the know about what Hon. Chilima and others call the ‘Quota’ system, which Hon. Chilima has committed to dismantle on day-one of coming into office, does not even appear in the education policy documents! What is in the education policy documents is ‘equitable selection’ system which means Hon. Chilima and his team must change tactics and start attacking ‘equitable selection’ system—that is the price you pay for planning to overhaul a policy you hardly understand, much less have objectively or critically read. The system was shown as recently as August 7, 2018 by a Mr. Nenenje Mlangeni ‘not to discriminate any district from selection into public universities, contrary to critics’ and to even select more students from Hon. Chilima’s home district of Ntcheu than his boss’ district of Thyolo! It is a sign Hon. Chilima either has not given the issue sufficient thought or that Hon. Chilima does not intend to implement his pronouncements at the political podium. Hon. Chilima’s ’12 Point Plan’ is not an ‘Economic and Governance Infrastructural Plan’ to behold—not in the mold of Chikaonda’s ’10 Point Plan’ or JB’s ‘Economic Recovery Plan’ and certainly no where near Banda’s Gwelo Dreams’. Conspicuously missing from Hon. Chilima’s ’12 Point Plan’ is a revamped and revitalized and fully functional lake transport system running the length of the lake. Is this an innocent oversight or is Hon. Chilima a micro-manager who struggles to see the forest the tree is in? Transportation costs for our imports and exports are excessively high to have a functioning economy because of our failure to develop our still infertile marine transport system on Lake Malawi and integrate it to the bi-national Tazara corridor that offers all the advantages of assured safety, security, reliability and administrative convenience that come with a railway-road-lake service instead of the current all-road services. The current Government has already shown interest in using it to import fuel (albeit via Zambia) while the World Food Programme (WFP) has shown interest in hauling its food to Malawi through it. Hon. Chilima is more than comfortable talking about the politically juicy reward system for creating a productive and engaged work-force in the public sector but would not in the same breath talk about its Siamese twin–the politically unpalatable punishment system—for discouraging uninspiring performance in the public sector which happens to be the most prevalent performance behavior in the sector. It is, again, a sign Hon. Chilima either has not given the issue adequate thought or that Hon. Chilima does not intend to implement his pronouncements at the political podium. Hon. Chilima extolled the virtues of the farm-input subsidy programme (fisp) at the mammoth Upper Stadium gathering in Mzuzu and made a commitment to implement it better than his predecessors. Really? This universally acknowledged failed programme for food-insecurity rather than attaining food-security still has some political appeal to Hon. Chilima? I know of only one reason why politicians would find any hand-outs programmes irresistible—they are the undisputed conduits for licentious thievery and plunder of public resources. The Anti-Corruption Bureau (ABC) has a long-standing policy of encouraging citizens who have information about corrupt practices to anonymously report to the institution which Hon. Chilima willfully failed to do. Hon. Chilima has committed to fully deal with people who willfully failed to report corrupt practices they were aware of to the institution. Will Hon. 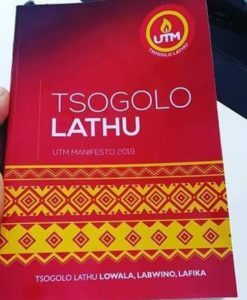 Chilima make an example out of himself (or individuals in his UTM who may have similarly run afoul of this) to prove to the country he is dead-serious about this and everything else he told us on the political podium in the short life of UTM, including claims that ‘Malawi has reached the end of its thither’ and requires Hon. Chilima’s unproven, untested and untried statecraftship?